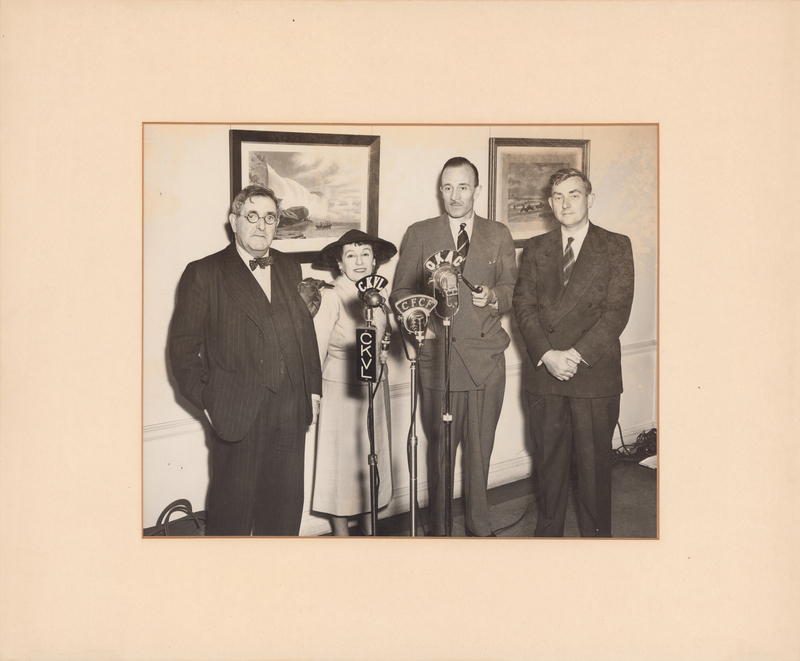 File contains a photograph of Douglas Clarke (Dean of the Faculty of Music at McGill University from 1930 to 1955), Ellen Ballon, Frank Cyril James (Principal and Vice Chancellor of McGill University from 1939 until 1962), and an unknown man, standing in front of three microphones for radio stations: CKVL, CFCF, and CKAC. The photograph may have been taken at one of the concerts celebrating the 50th anniversary of the McGill Conservatorium. Photograph taken at the same event as MS-5-2, Box 10, Folder 16.